I love MLP! While I may have gotten into the fandom early S2 and never seen any seasoms other than that and Tales, I'm open to watching the other shows. I don't own any toys because I'm poor as hell. If the mods/admins have a certain type of person on their team, the type that will ban someone if enough people brand him with enough -isms and -phobes, tell me now. If there are any SJWs on the staff that will ban me for correcting anyone that is wrong, tell me now. If there are no SJWs on the staff and I just sound like a jerk right now, tell me now. "Teeny tiny baby pony". I like that! It's funny. Howdy there, SilverBrillance70! Glad to have you here. We're a pretty open minded group and really we're probably one of the last forums on the net where SJWs haven't crept in and started making demands. I'm grateful for that, because frankly, I'm an offensive person and enjoy my rude hobby. I don't wanna be lectured by some nitwit, regardless of how well meaning they may be. And boy Gingerbread is right! Ponies just appear when you least expect it. Generally it's a pretty inexpensive hobby unless you get into the big buck toys. Me, I buy the cheapest i can. I like eating too much to starve! Awesome! I was actually banned from a MLP forum a few days ago because SJWs demanded it, ones that started a "Wah, gamergate is so evil! I can't take beliefs different from mine seriously! They're evil because I said so!" echo chamber and cried when I posted facts and evidence that disagreed with their stupid SJW dogma. 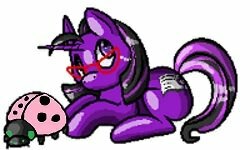 The mod named Cadance sent me this infuriatingly pretentious "Shut up and open your ears, and you'll be surprise what you learn!" stfu warning message, it was comedy gold. Welcome I find this forum to be very friendly (the most friendly infact! my opinion) forum I have been and I haven't seen anyone spoken any ill word on anybody. I hope you enjoy the forum ! Welcome, I must be from another planet because I have no idea what a SJW is. No, you're just from a place the SJWs haven't yet touched. Which is good. Wait, did that post actually send? By the way, that site I mentioned with a mod named Cadance? Still banned from it. Also banned from MLPforums, but it's ok because Simon is running that place into the ground to make the others "Respect his authority" and all the staff members worth a d*mn hate him for it. Fun fact, staff can read your private messages on that site, and will do so whenever they decide you're "Suspicious". When I heard about this and asked a mod if they really do that, the mod said yes and said that by asking, I've become suspicious. He somehow said that with a straight face without Kim Jong Un's theme song playing in his head, it's amazing. Thanks. Hey, cute avatar twin ponies. When I saw those two, I paused and checked if they're legit or if I was watching a doctored version.